It’s important to know that it’s OK to feel like this – these emotions are part of a process, and there will be a period of adjustment and loss from the life you used to have to the life you have now. Here you can explore and understand the most common feelings. 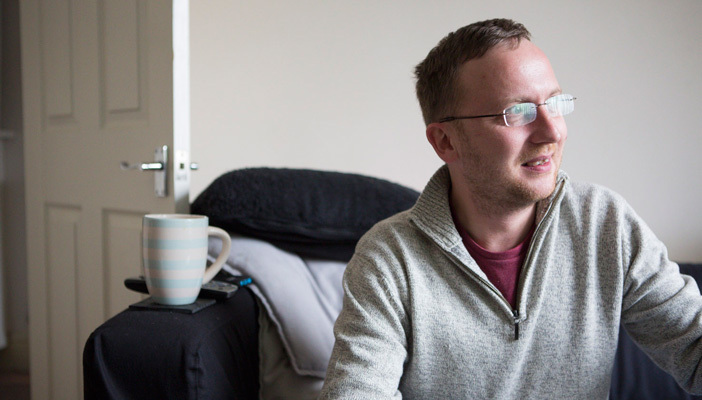 Whether sight loss comes on suddenly or a diagnosis is confirmed after experiencing gradual change, shock is often the first reaction. It can be hard to take in the news, and you can find yourself carrying on as if nothing was different. You may also disbelieve the news or think the doctor has made a mistake. Of course, it’s reasonable to seek a second opinion and look for more information about treatments. But you may find yourself frantically seeking further diagnoses, or trusting in "miracle" cures that have no evidence to support them. This is called denial, and it may be the mind's way of buying time to get used to a new experience. It should fade over time as you find ways to adjust to your situation. You may get angry with the people around you, or with the services provided by official organisations. There might be legitimate targets for anger – for instance if your sight loss was caused by an injury, or if medical services were inadequate. Seeking justice or apologies can help you regain a sense of control. But sometimes you can feel angry when there’s no obvious target. You might wonder “why me?” and get caught up in searching for explanations even though they may not change anything. Anger can be a natural response to unwelcome changes in circumstances. In questioning how the situation happened you’re searching for ways to make things better. You may need time to explore whether you have the power to change things before you can feel ready to move on. These feelings are part of the process of accepting what cannot be changed. This can be scary and may even send you back into denial. Common fears include: worries about income and having to be dependent on others to do things.Not being able to do things that others can do can feel intensely embarrassing, even shaming and can cause strong anxiety. Gaining new skills and confidence can help these feelings. But if you find anxiety or panic attacks becoming chronic, seek help from your GP or a counsellor. You could also try No Panic an organisation for panic and anxiety problems: Telephone 0800 138 8889. These may be obvious reactions but you might be surprised by the strength or depth of what you feel. This can be especially difficult for people who see themselves as "practical" and "good at coping". It's true that coping in an emergency can mean getting on with things without stopping to take notice of our feelings, but major life events such as sight loss require a longer, slower process of management. Allowing space for what you feel actually strengthens your ability to cope with change. When sadness lasts a long time you can get depressed. This is a normal response to loss, but if it lasts for more than a few weeks and stops you getting on with normal life you may need professional help, especially if you get so low you have thoughts of harming yourself. Some people who have lost a lot of sight can start to see things that aren’t really there – known as visual hallucinations. This is a recognised condition called Charles Bonnet Syndrome (CBS). The hallucinations caused by CBS are due to sight loss only and aren’t a sign that you have a mental health problem. Our information about Charles Bonnet Syndrome can give further details and advice about the condition. You can also contact our Eye Health Information team if you would like to speak to someone. Contact us via our Helpline on 0303 123 9999. Esme's Umbrella is a campaign group working to build up a greater awareness of CBS. They can also provide further support and you can contact them via telephone on 0345 051 3925 or via email [email protected]. Without the opportunity to do the things you've always done you may wonder who you are – no longer the breadwinner, the reliable grandparent, the budding artist or the aspiring sportsperson. The fact is that many of these roles will not be lost to you permanently and with the right kind of adjustments will still be possible. You may also discover new careers and interests that you would not otherwise have tried. This may seem a long way off, but it’s important to hold in mind that new possibilities often arise when you’re ready for them. Adjusting your sense of identity is a major change and you might resist at first. Also, like the rest of the population, you are likely to have some inaccurate ideas of what it means to have a disability. Managing a new sense of self doesn’t happen overnight and each person will have their own way of getting there. It’s likely that you will have been feeling better for some time before you realise, by looking back, just how far you have come. It’s not easy to say how long the grieving process will last. Everyone is different. It’s normal to find that one or other reaction is around for weeks or even months but should lessen as time goes on and you learn to adjust to the changes in your life. Talking to someone about your feelings can help. 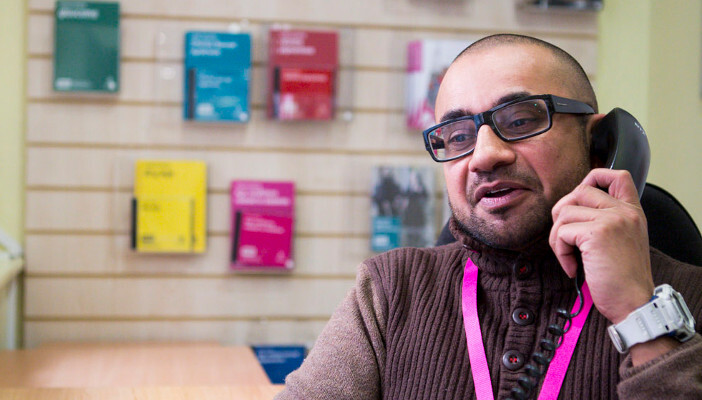 Find out about how to talk to somebody about your sight loss and counselling. For details about our counselling services please see our Someone to talk to booklet. We also have more information on the different emotional support available from both RNIB and other organisations in our Emotional support leaflet, which is part of our Starting out series of leaflets. To find out about products that may help you, visit our online shop. The A-Z of eye conditions.